Pro Mailing Systems - Newsflash! 4 Major Problems To Look Out For When Using A Bulk Mailing Company...And How ProMailing Systems Solves Them ALL! You might think this is obvious, but a common problem using different bulk mailing companies are that they may not know the ins and outs of the postal mail system. For example, there was a client in St George who used a bulk mailing house from Florida thinking they would get a better "deal" . This bulk mailing house shipped this clients mail to the residents in St. George, but didn't take into consideration the fact that every post office that receives and passes on those "bulk mail" pieces can legally hold on to them for 3 days without doing anything with them. Well, it took longer than the client expected and their big sale came and went with their mailing that arrived 1 week after the event. This is NOT uncommon. Be careful with bulk mailing houses that don t have people who have worked in the postal system. Pro Mailing Systems has done over 3,961 jobs and over 3.5 million pieces of mail in the last 5 years. We know the postal system in and out because we had more than 12 years in that industry. One of the biggest ways that bulk mailing houses can take advantage of clients is to charge them for pieces of mail that never got sent because of bad addresses on your database, or the printer messed up and you were supposed to have a 7,000 home mailing and only got 6,500 pieces but the bulk mail office still charged you for 7,000. Pro Mailing Systems has a strict policy of only charging for actual pieces of mail sent. 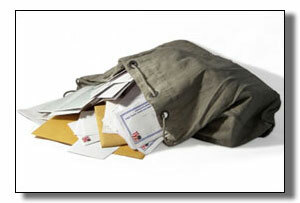 We can provide proof of mailing and postage statements for every job from the post office. One of biggest reasons to use a bulk mailing office for your mailings are that we have systems and equipment in place that can substantially reduce the amount of work you might need an employee to do for you. All the time stuffing the envelopes, licking, sealing, and putting postage on could be reduced to pennies per mail piece. Our costs to this are much less than using up the time of a full-time employee, saving you money and resources. "I have used Pro Mailing Systems for nearly 7 years, and am always able to rely on them to accomplish the job consistently, and in a timely manner." -Josh, Independent Publishing Co.
With most bulk mailing offices, you have to either do your printing with them (where they hide the cost of the mailing in with the printing prices) or you have to do a substantial amount of the work yourself. With Pro Mailing Systems you just give us your database, your envelopes, and your letters, or just whatever mail pieces you want sent, and we take care of the rest. In fact, you don t even need to bring them to us, we'll come to you and pick them up and take care of you every step of the way. We also have relationships with some of the best printing companies in the entire country and can get you very competitive pricing with the best quality printing anywhere.